Positioned at the apex of the industry sectors we support, everyone at our Totnes-based facility is very aware that precision has to be considered at every step of the manufacturing process. 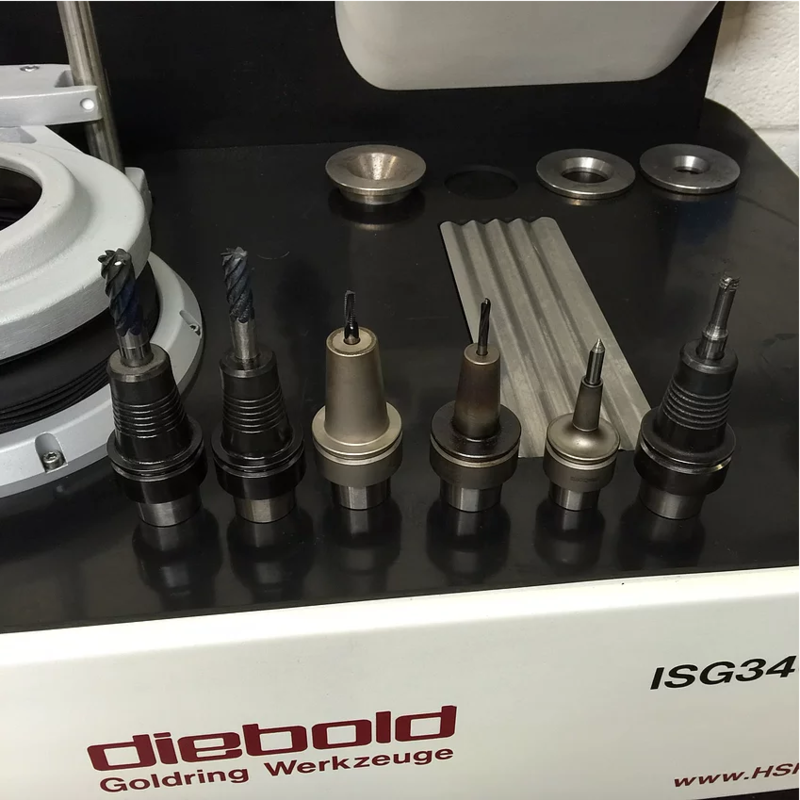 This is why we have invested in Diebold shrink-fit tooling to support the tight tolerance work carried out on our high speed multi-axis machining centres. High precision multi-cavity caps and closures injection mould tools and complex CNC components are the mainstays for the highly skilled engineering team at Amtek. The company’s impressive plant list includes a high accuracy Mikron HSM 400 machining centre with robotic pallet loader, a Mikron 65,000 rpm Graphite Master machining centre also with a robotic pallet loader that has allowed Amtek to switch from copper to predominantly graphite EDM electrodes for its die sink machines, and a Mazak Integrex multi-axis mill-turn centre. The accuracy and precision of these high performance machine tools is transferred to the precise positioning of the cutting tool via Diebold shrink-fit toolholding technology that ensures the tolerance levels expected by Amtek are achieved. Supplied and supported in the UK by YMT Technologies, Diebold introduced the ﬁrst contact-shrink unit more than 15 years ago. It was a milestone in modern shrink-fit technology and the company built on the lessons learned to develop the advanced inductive shrink units, chiller units, and integrated tool-settings systems available today. Diebold holds many patents for innovations in shrink-fit technology and the design speciﬁcations ﬁrst introduced for the ThermoGrip toolholders eventually became a DIN standard that is now accepted globally. “For engineering companies focused on tight tolerance work, such as Amtek, every step of the manufacturing process has to be considered when you are pursuing microns. This applies to the machine tools, the fixturing and cutting tools and, of course, the vital interface between the cutting tool and the machine’s spindle. The technology and capability available from Diebold allows the latter to be extremely accurate and rigid,” explains Jason Short, YMT Technologies’ Tooling and Equipment Manager. Although Diebold offers manually operated units, Amtek selected ISG 3400 TWK self-contained shrink-fit tool holding solution that features integrated water cooling to make the shrink fitting and cooling of cutting tools a simple operation. The bench top unit can shrink-fit carbide shank tools from 3 to 32 mm diameter and HSS shank tools 6 to 32 mm diameter, and is designed so that the operator does not have any contact with hot tools. It offers a maximum shrink extension of 400 mm and a maximum cooling capacity of 160 mm. A cool down time of just 20 seconds is required. Amtek is fully aware of the benefits of shrink-fit toolholding as the company first invested in the technology in 2001. Today, staff on the shopfloor use different ThermoGrip toolholder designed to suit the various applications. These include the Ultra Slim that has been balanced for high speed machining and features a slim nose with minimum mass; the Slim Fit that has been designed for the mould and die industry with a 3o angle for mould cavities and an anti-corrosion coating for machining graphite; and, the Pyroquart holder for heavy milling applications. “The concentricity of the bore to taper is better than 0.003 mm and the parameters for all tool sizes and holder designs are pre-programmed into the ISG 3400 TWK, so we can expect repeatable results each time the unit is used,” states Mike Jones. © 2018 Amtek Precision Engineers Limited. All rights reserved.